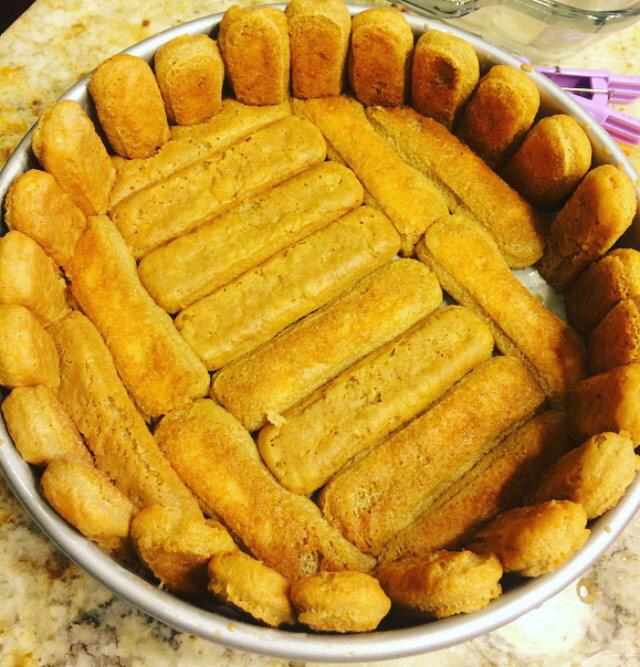 This recipe is based off an old recipe called, “Depression Cake.” It does not contain dairy nor eggs, so it was cheap to bake during that era. Thus, it is nearly allergy free. 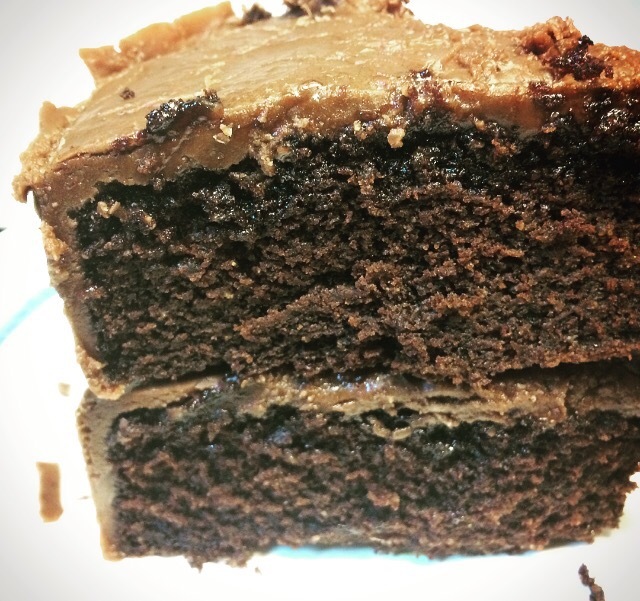 I took the recipe a step further and replaced the sugar with coconut sugar, removed the gluten, and provided a couple of icing options. 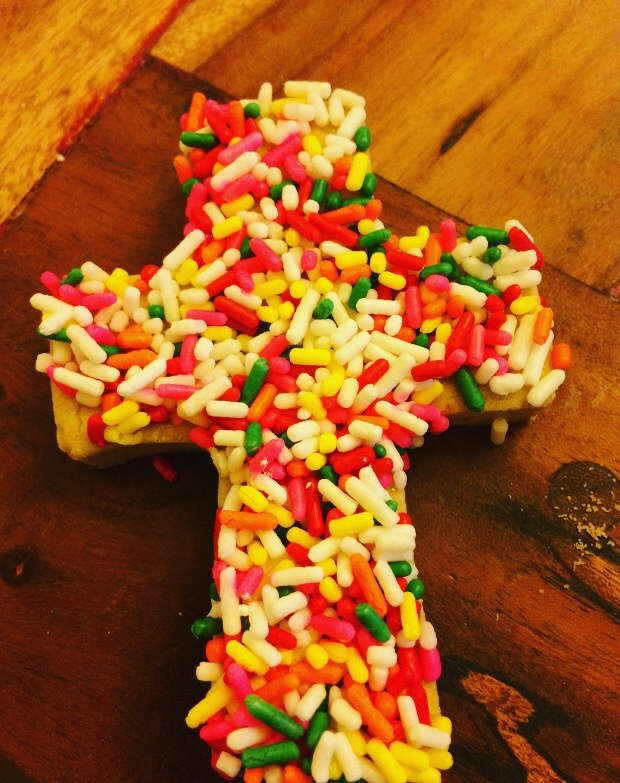 I promise… it is delicious. I barely was able to take pics before it was eaten. Only crumbs remain. Whisk dry ingredients together. Make a well in the center. In a separate Bowl, whisk wet ingredients. Add wet ingredients into the dry and stir until lumps are gone. Pour into an 8×8 greased pan. Bake on 350 for 20 minutes or until toothpick comes out clean. Whisk frosting ingredients together. Add water to thin out if needed. Frost cake once it cools. If you want to cut the sugar. Ice cake with this. 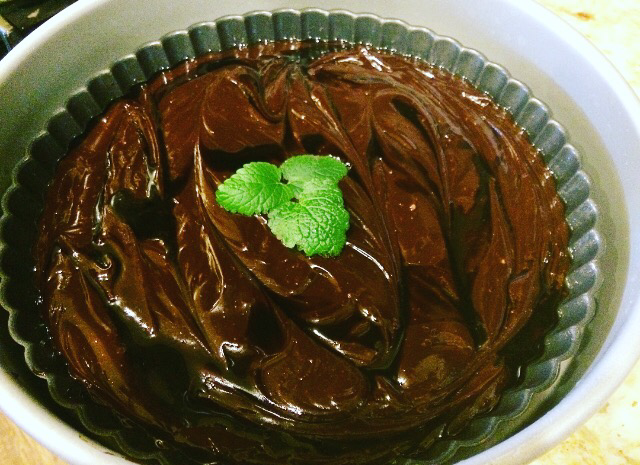 Heat ganache ingredients in a glass bowl for 45 sec in the microwave. Pour over warm cake. Allow to cool. 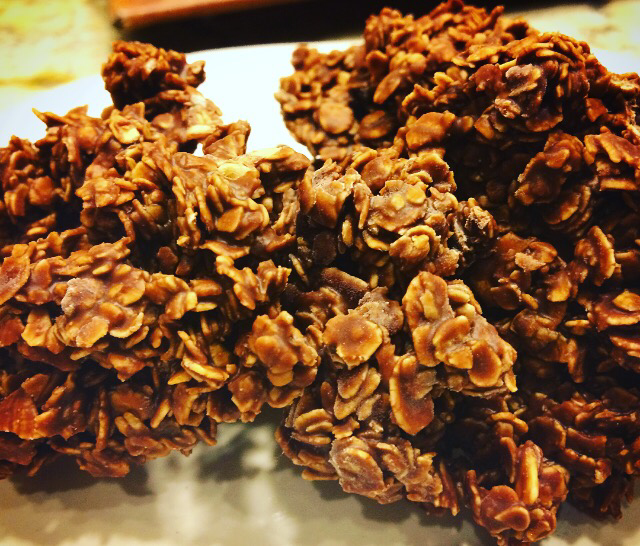 Think Haystack, dark Chocolate, Million $ bars in a fast 5 minutes. I’m addicted to these bars and they save me from eating processed junk. 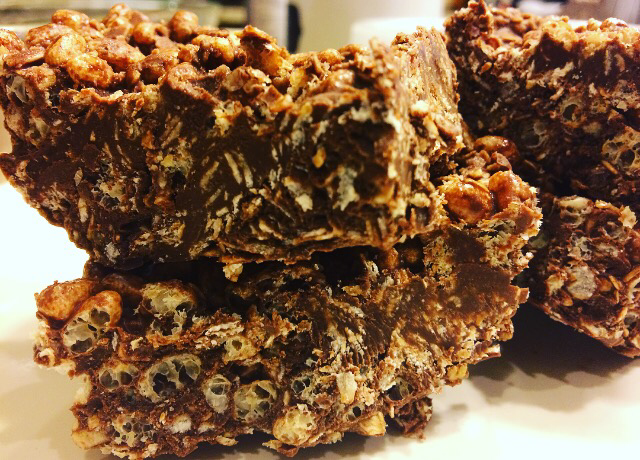 I keep them in my freezer or fridge for a go-to quick dessert, or indulgent snack. 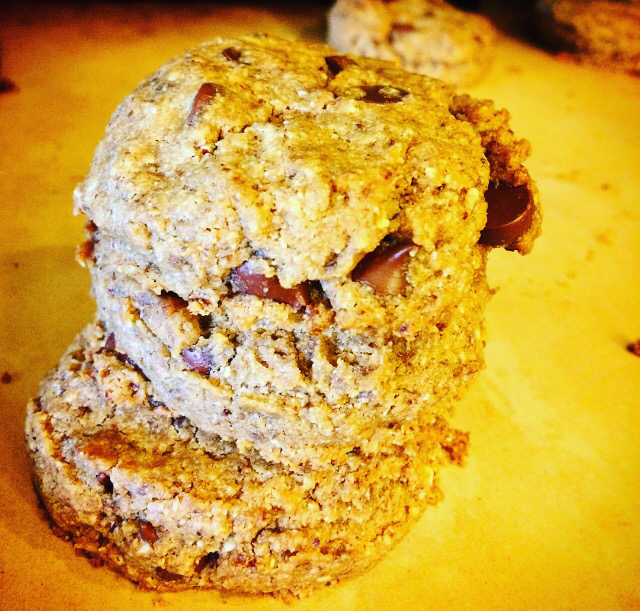 With no added sugar, dairy, or gluten, these babies are brilliant. 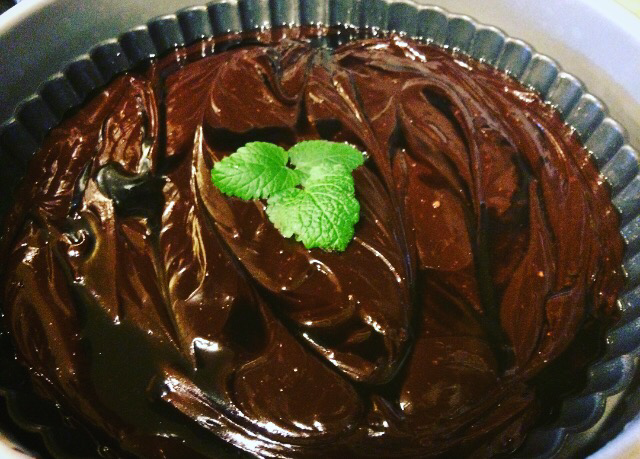 Pour sun butter, chocolate chips, and coconut oil into a large glass bowl. 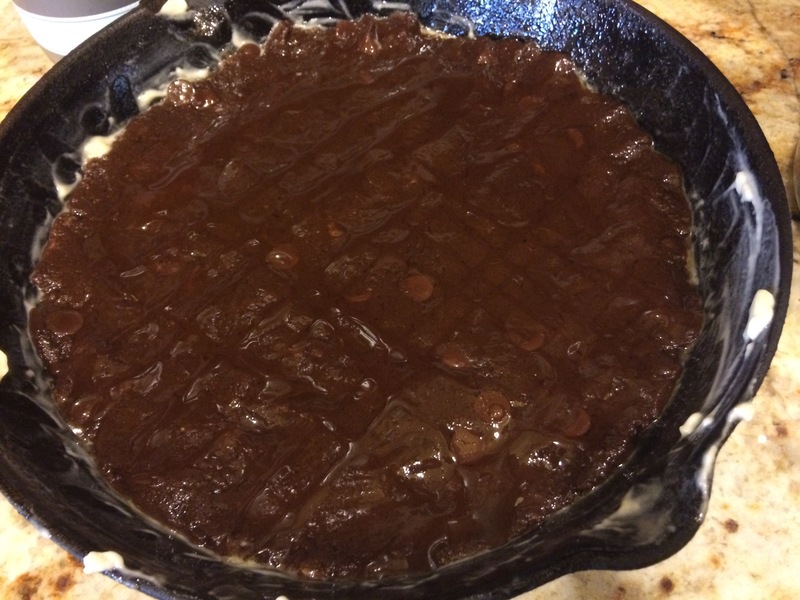 Either Microwave for 45 seconds, or heat over a double broiler on the stove top until chocolate is melted. Stir until smooth. 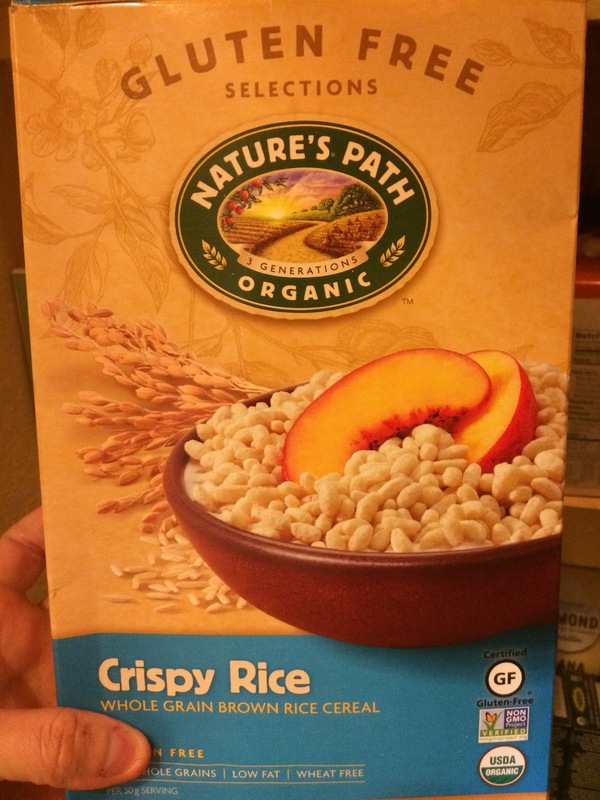 Add in vanilla, oats, and crispy rice. Pour into a 13×9 glass dish that has been greased with coconut oil. Freeze or chill until set. 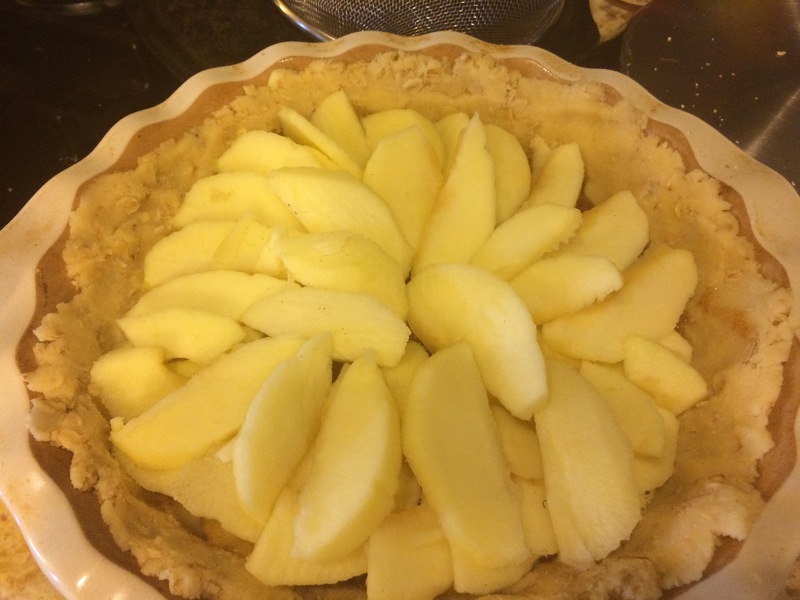 Cut into squares and store in an air tight container in the fridge, or freezer until serving. Makes 12-16 squares. 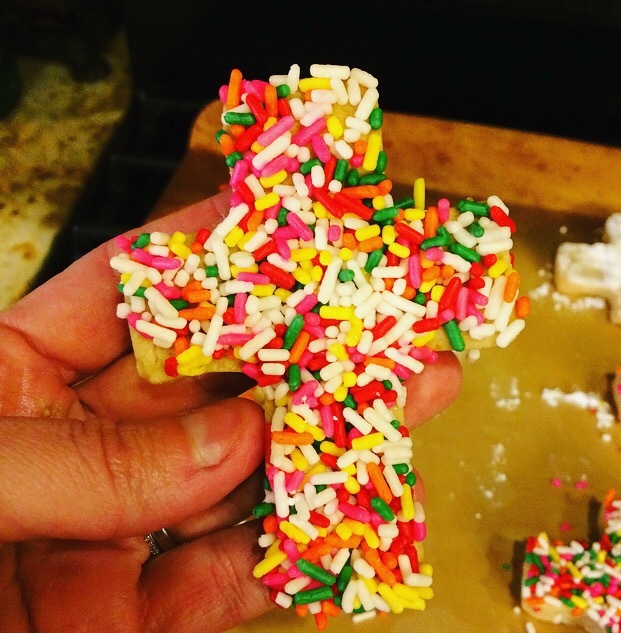 I grew up in the 80’s where “No-Bake” cookies were a staple at my house. 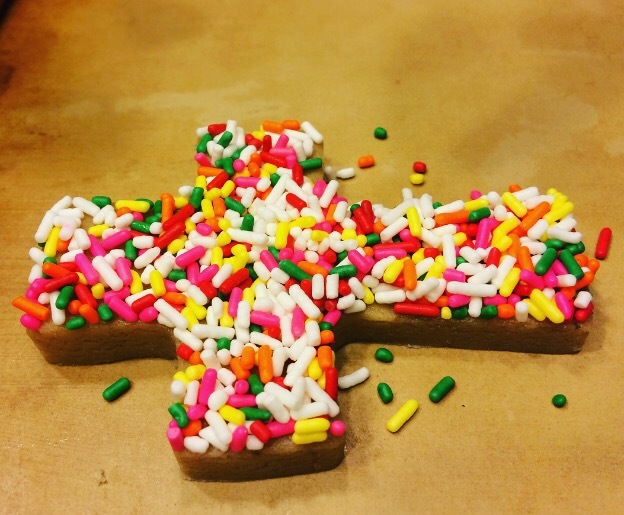 In fact, it’s the first cookie I ever made on my own. Since, I’ve cut sugar, gluten, and dairy from my diet, dessert is a sensitive subject. 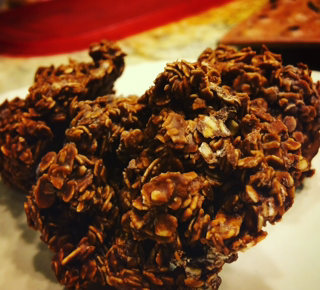 Determined to to have a safe and delicious back up, I revisited my childhood and the famous “No-Bake” cookies. 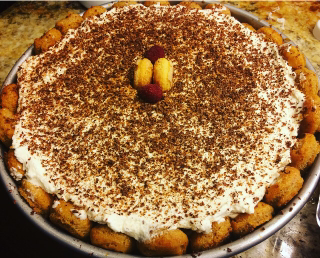 This time, I put my healthy spin on this decadent dessert. The best part? It comes together in less than 5 minutes! Enjoy! 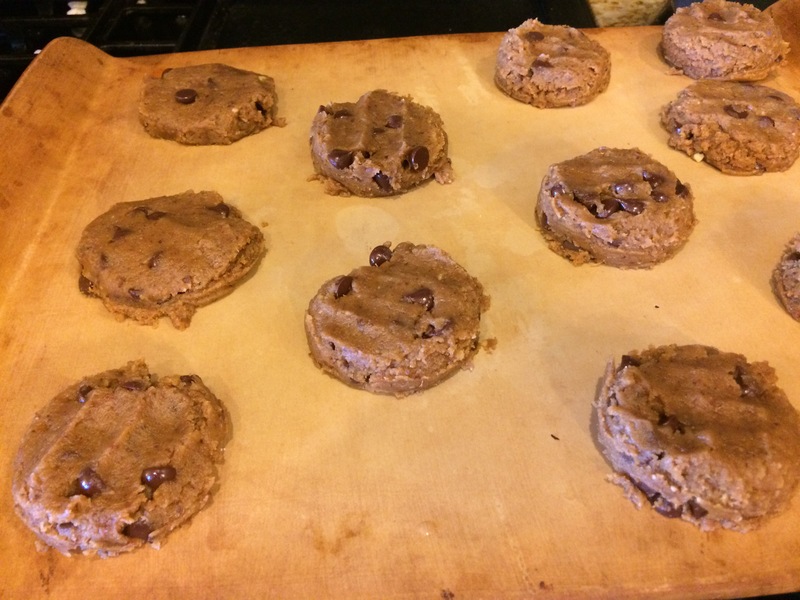 Put chocolate chips, coconut oil, honey, and sun butter into a microwaveable bowl or a small sauce pan of heating via stockpot. Heat until melted (about 30-45 sec in the microwave). Add in vanilla and a pinch of salt. Stir. Add in oats and stir until combined. 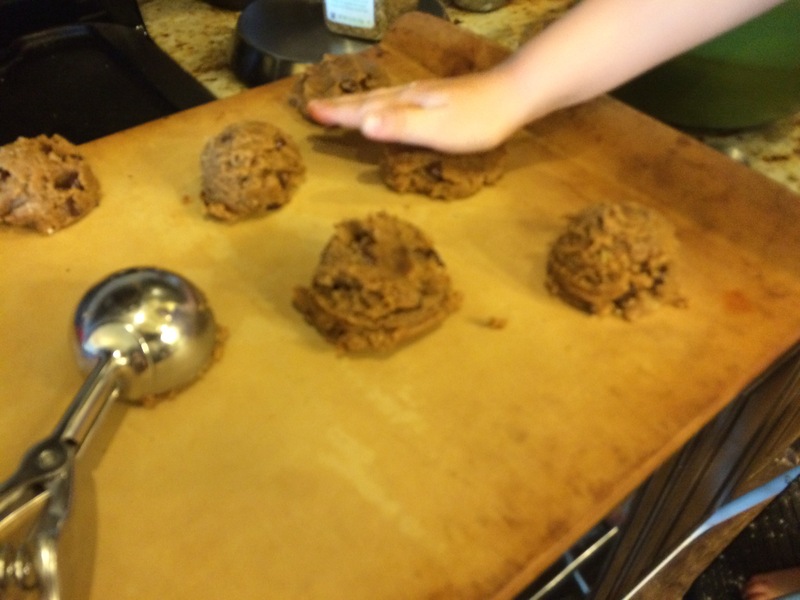 Either press into a 13×9 pan for bars or scoop onto wax paper into ice cream size balls. Chill in the freezer until set (about 10 min). Keep refrigerated or in the freezer until serving. 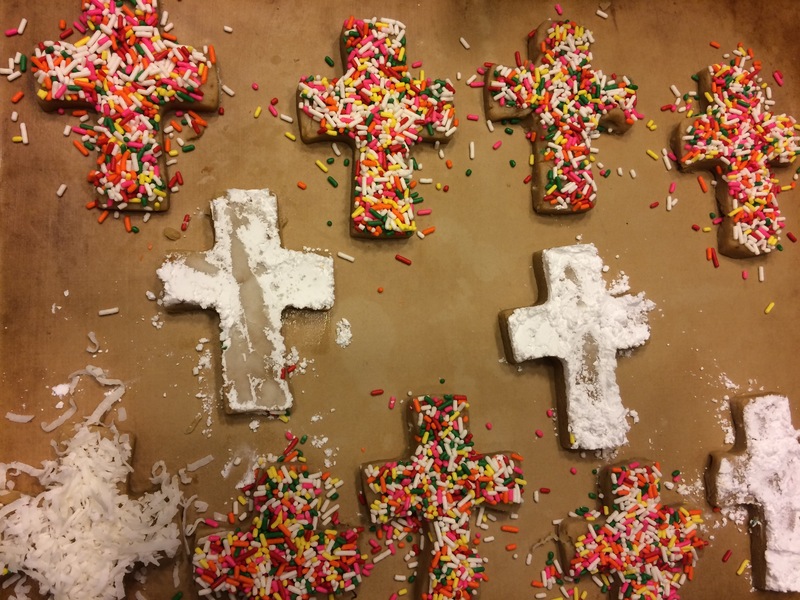 Try not to eat them all! They are delicious with coffee too! 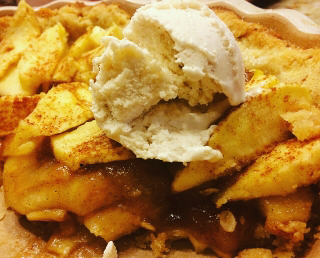 This All-American Apple pie is my husband’s favorite dessert topped with homemade ice cream. 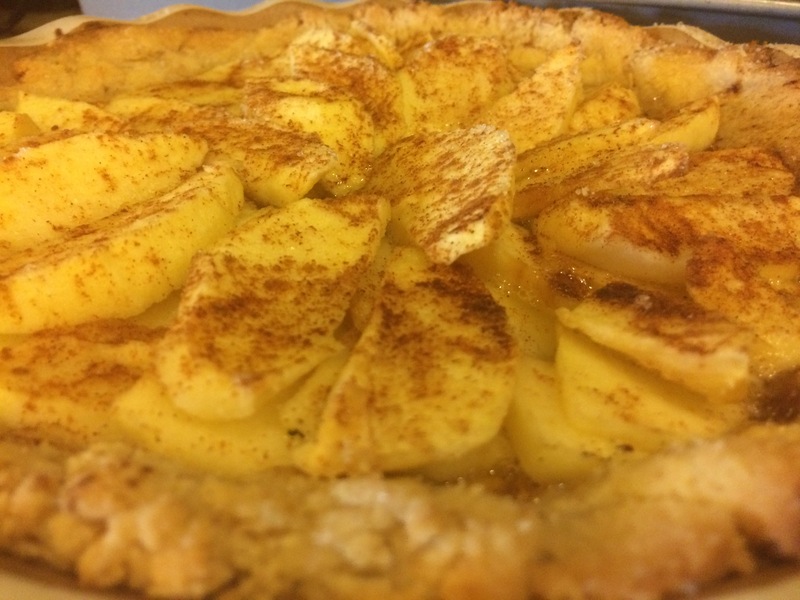 With a layer of apples cooked in Kahlua, vanilla beans, and fresh ginger, and topped with the crunch of fresh sliced apples, this pie marries texture and creamy flavors. 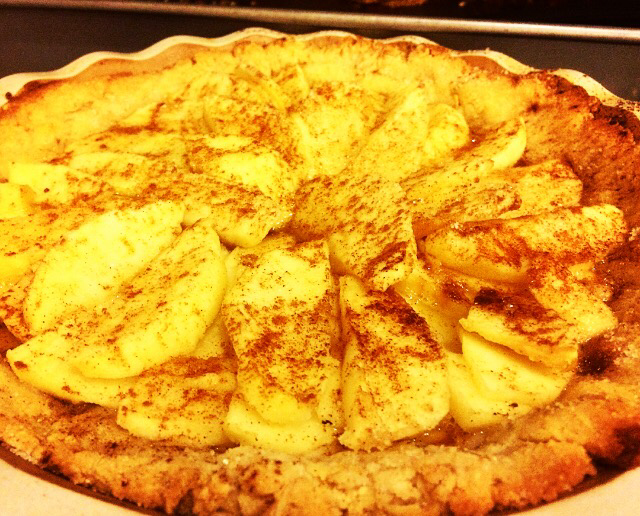 Lastly, it’s baked in a coconut-almond gluten free, dairy free crust. Beautiful and tantalizing at the same time. Start with the crust ingredients. Mix butter and sugar together. 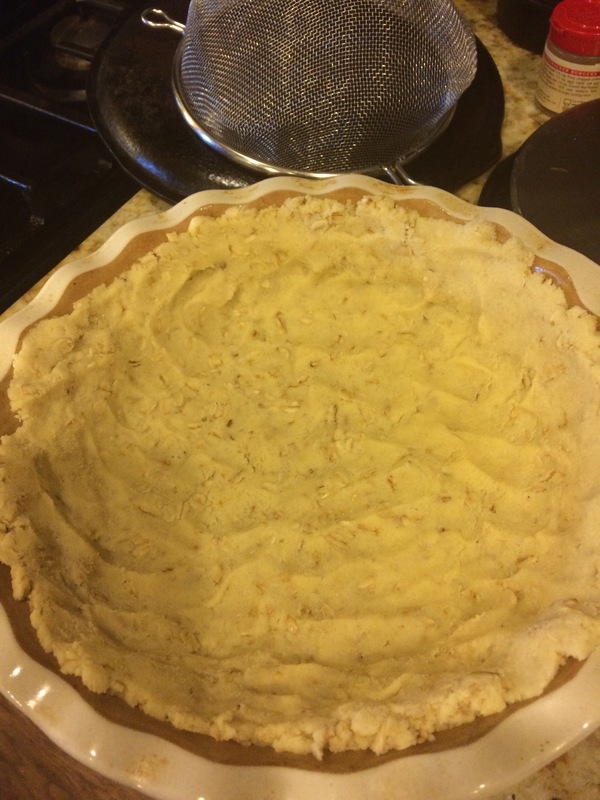 Add coconut flour, oats, tapioca flour, and almond flour. Then add cold water with mixer on low until dough comes together. 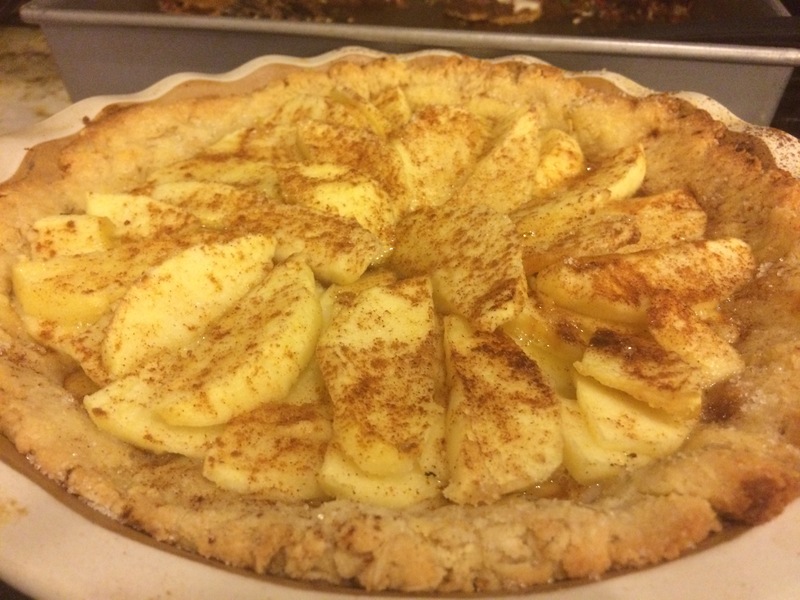 Press into a 9-10 inch round pie pan. 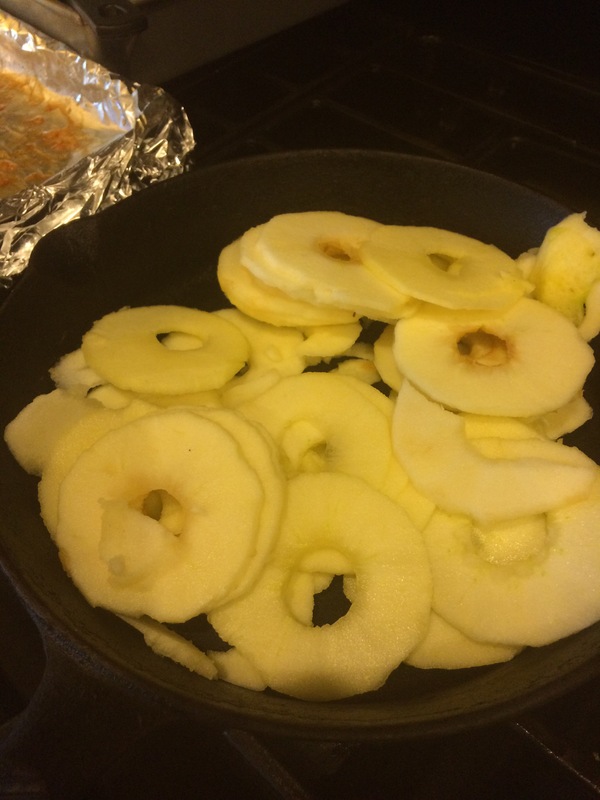 Add the 3 micro planed apples to a skillet with the butter and sugar. 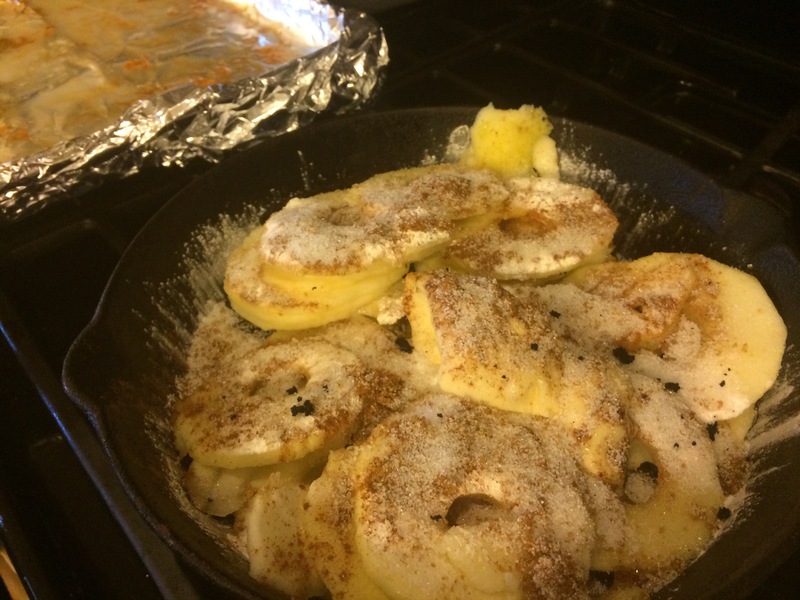 Add tapioca flour and toss apples. Then add spices, Kahlua, salt, lemon juice, and the vanilla bean. 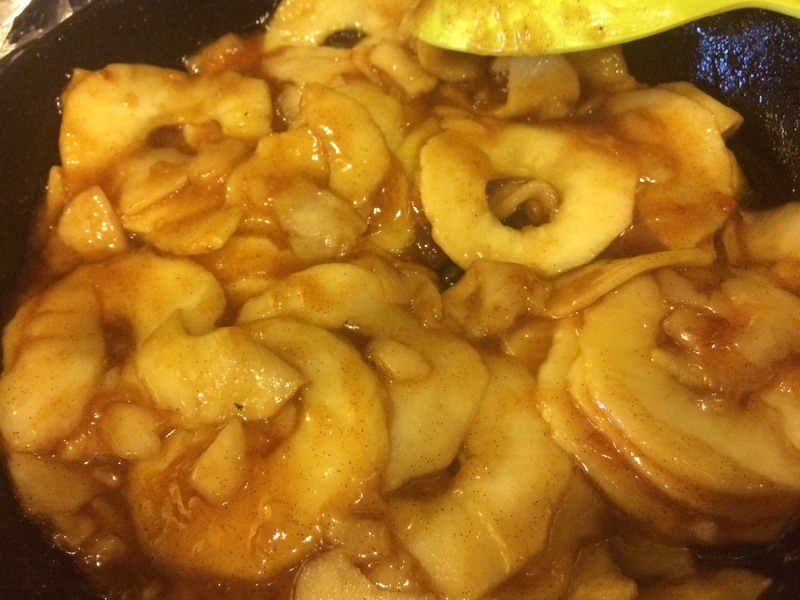 Cook until apples begin to soften and the sugar thickens. Pour into the crust. 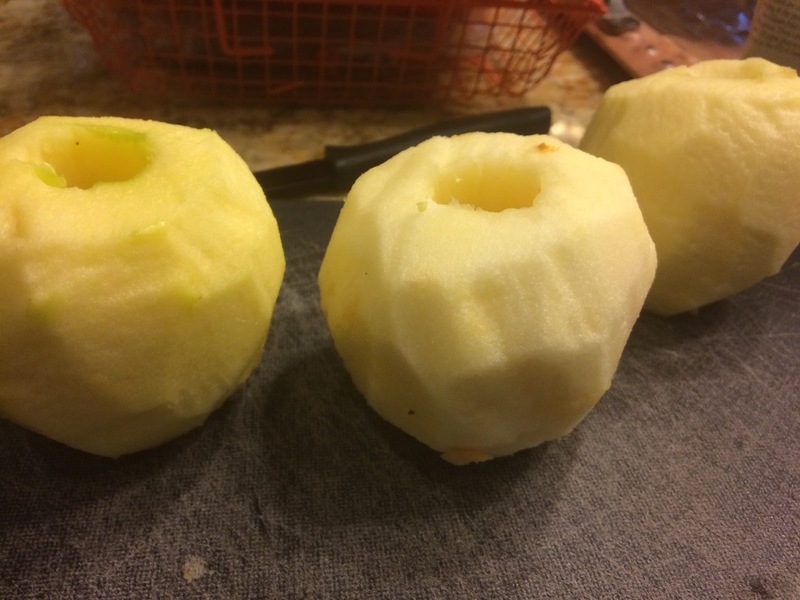 Slice remaining apples. 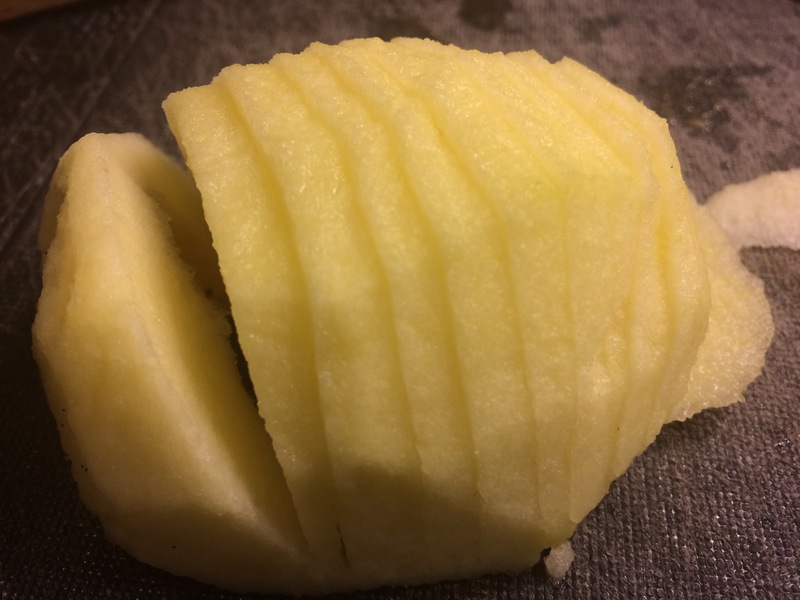 Top the cooked apples with the sliced apples in a circular pattern. 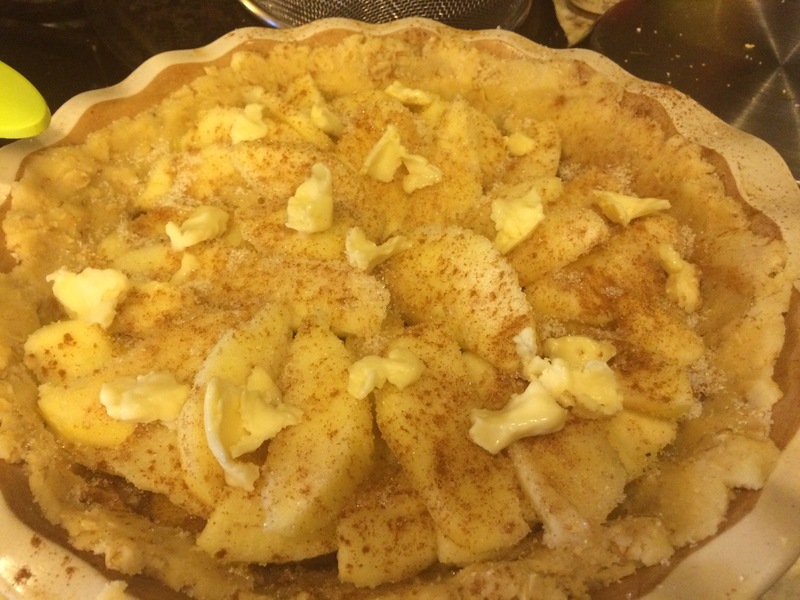 Dot with more butter and sprinkle with more sugar and cinnamon. 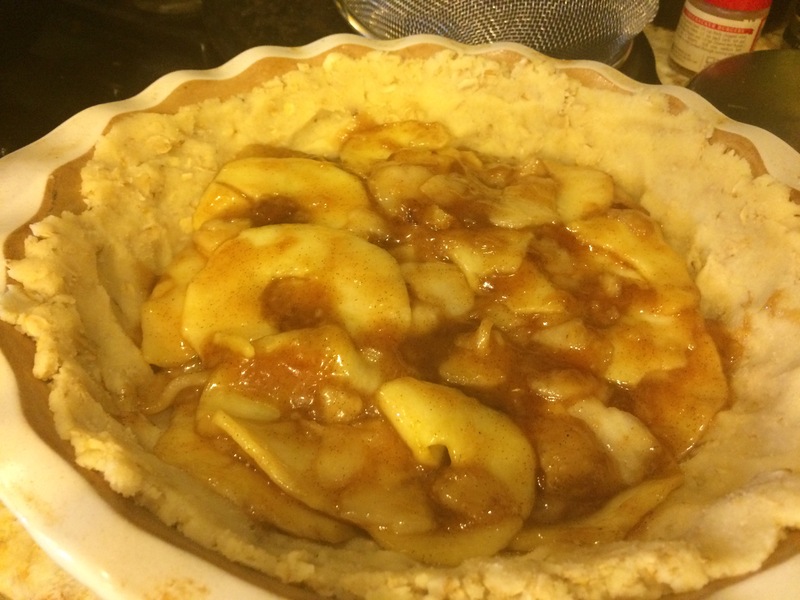 Bake on 350 for 20-25 minutes until apples turn golden. 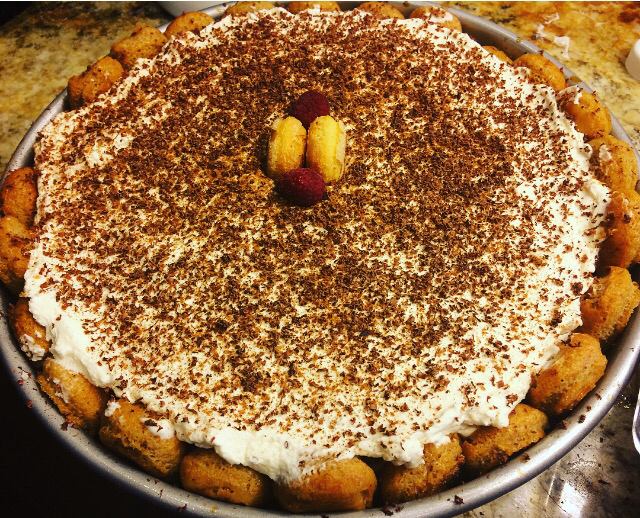 Just the title of Tiramisu seems intimidating, but this recipe whips up in a breeze. I made this for a dear friend’s son’s graduation party. 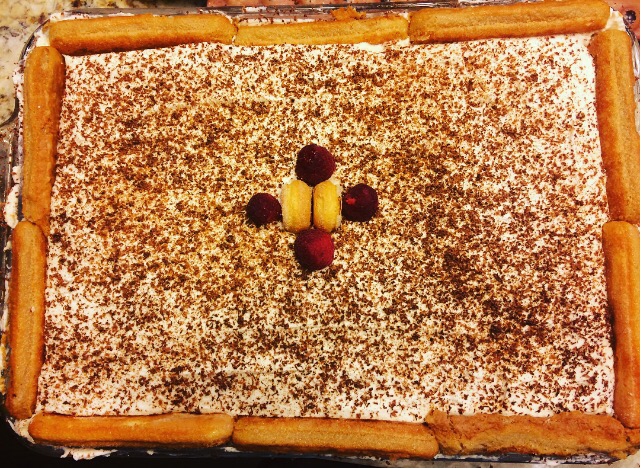 It’s beautiful; the layers of coffee-soaked cookies flake into a cake-like texture separating sweet vanilla cream. Place your mixing bowl in the freezer before prepping the next step. Pour coffee and 1 cup of amaretto creamer into a medium bowl. Add Kahlua. Choose either a 13×9 glass dish or a 12 inch round pan. Open 1 package of the cookies. 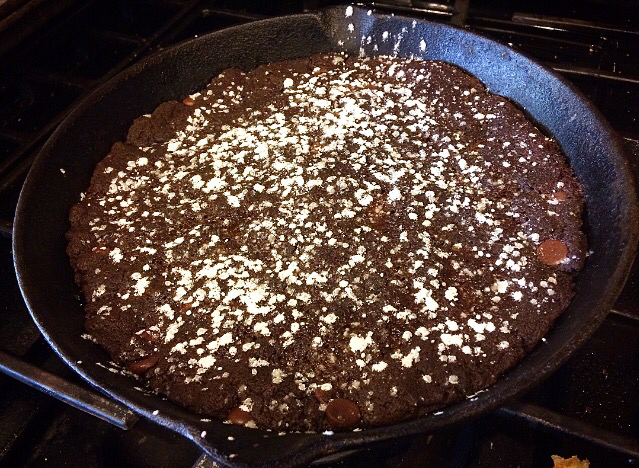 Dip each cookie gently (don’t soak or they will fall apart) and line the pan. I also lined the sides. For a 13×9 pan, line the sides laterally. You may need to open the second package of cookies and use a few to finish lining. Now remove the chilled mixing bowl. Pour the 2 cups of whipping cream into the chilled mixing bowl. Beat on high until stiff peaks form. Turn on low, and slowly add in sugar 1 Tbsp at a time. Keeping mixer on low, next add, vanilla and whipped cream cheese. 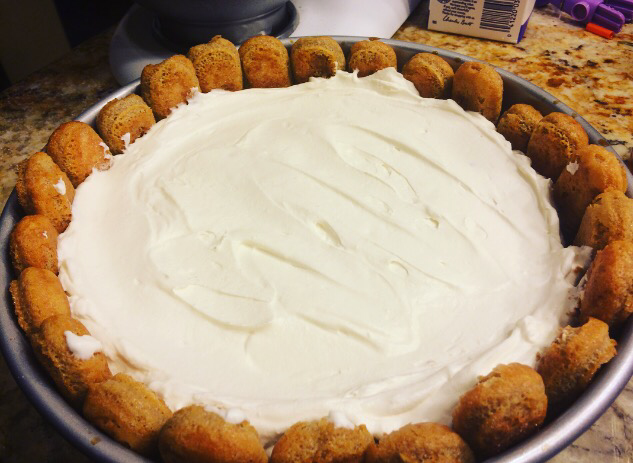 Once incorporated, slowly fold in mascarpone cheese. Lastly, add in 1/4 cup of amaretto creamer. Turn off mixer. Mixture should be thick. Scoop half of the mixture onto the lined cookies. Spread evenly. Gently sprinkle cinnamon on top. Using a zester, or a cheese grater, grate the dark chocolate over the top until covered. Garnish with remaining cookies or raspberries. 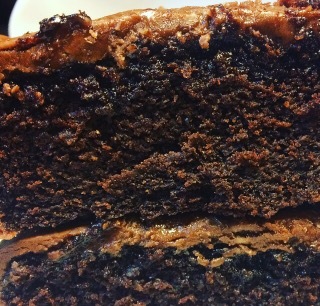 This is for all of the dark chocolate lovers. Rich dark chocolate pairs marvelously with tart blackberry balsamic and a sprinkle of sea salt. When you are allergic to dairy and soy, it is extremely hard to find chocolate at the store that you can take home and savor. This recipe can be whipped up in 5-7 minutes. Top with fresh fruit or nuts to add a beautiful garnish. 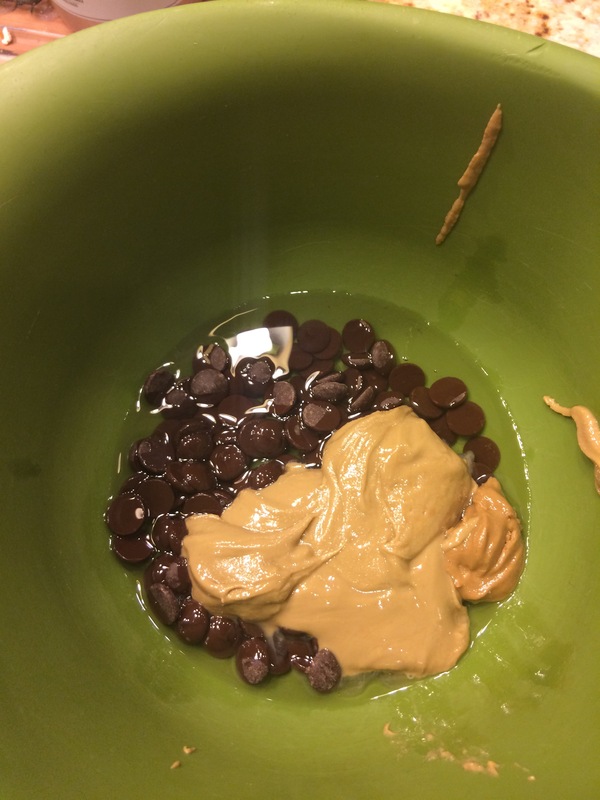 Pour chocolate chips, coconut oil, and coconut cream in a glass bowl. Microwave for 45 seconds (or heat over stove top on low until melted). Stir until melted. Add in vanilla, blackberry balsamic (any flavor is yummy), and powder sugar. Stir until lumps are gone. Pour into a 9 or 10 inch oiled tart pan. Smooth the top over. Drizzle more balsamic in a zig zag pattern. Use a butter knife to run through the balsamic drizzle. Sprinkle with sea salt. Chill for 20 minutes or until ready to serve. This is both allergy friendly and gentle on the waistline. 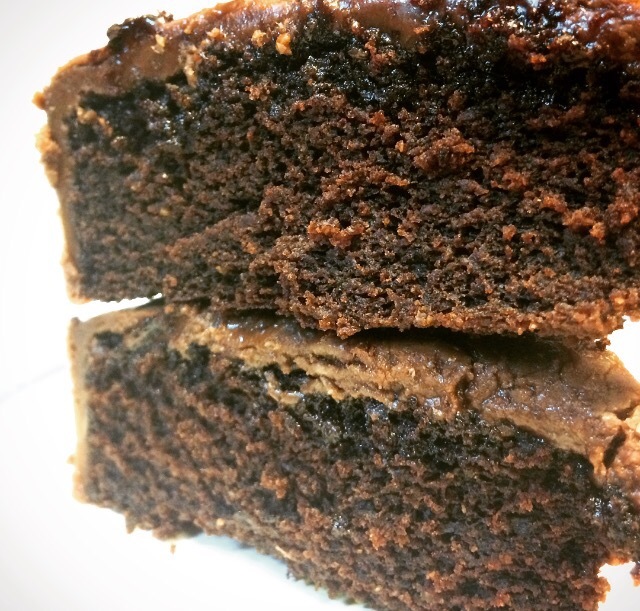 Packed with flaxseed and sweetened with coconut sugar, you won’t destroy your healthy eating. Top with fresh strawberries for dessert. I meant to get better pictures, but it was gone after one evening. So this is the only post baking picture. 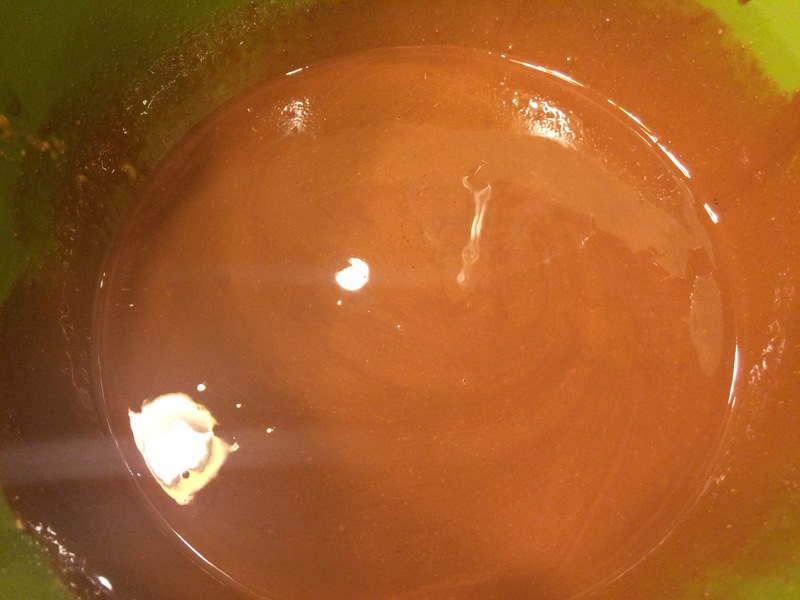 Melt butter and stir into the melted chocolate/almond milk mixture. Add in flaxseed mixture and coconut sugar. Stir in salt, baking soda, vanilla, and coffee. Stir until combined. Add in flour. Lastly, add in the remaining 1 cup of chocolate chips. Pour into a buttered or oiled 10 inch skillet. Press evenly. Batter will be thick. Drizzle with honey. Bake on 350 for 12-15 minutes. Don’t over cook. Sprinkle with nuts or powdered sugar. 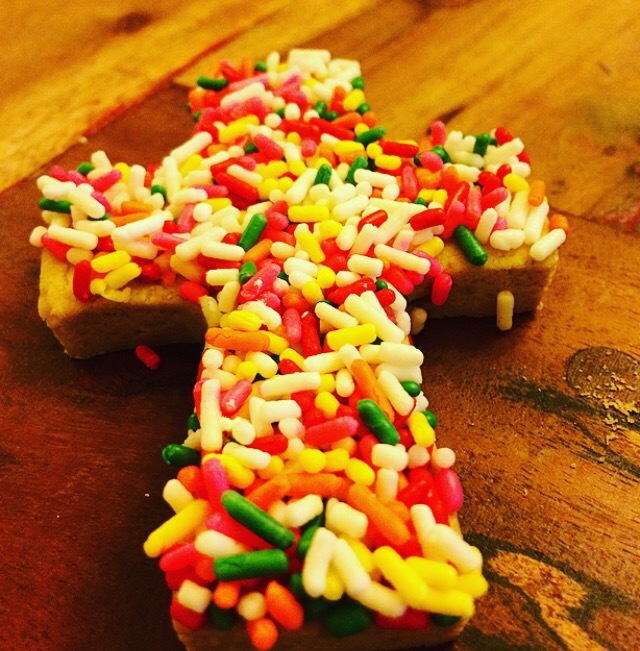 The flavor and texture are a mixture of a sugar cookie and a sandie. They are firm with a crunch. 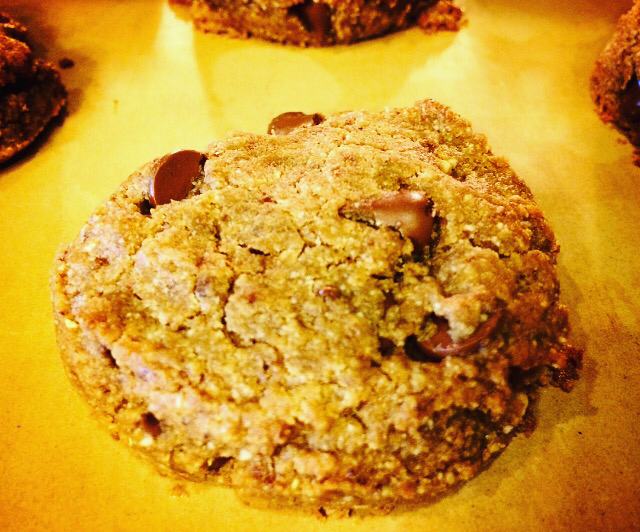 The actual cookie is only sweetened with a hint of honey and coconut sugar. The Mexican Vanilla flavor tastes like a bakery cookie. 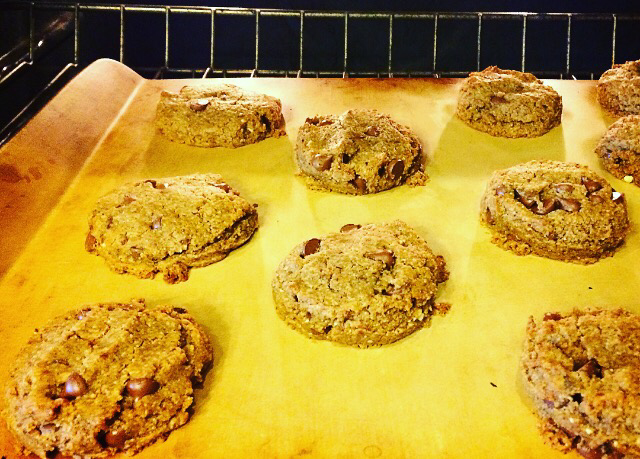 These will not crumble like some Gluten Free cookies tend to do. 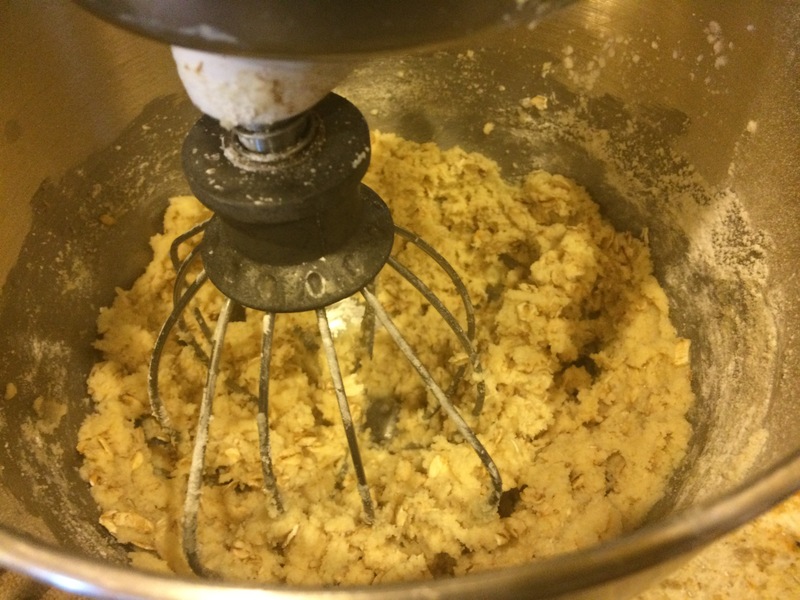 Using a mixer, beat butter, coconut oil, coconut sugar, and honey together. Once combined, add Mexican vanilla, salt, and almond extract. 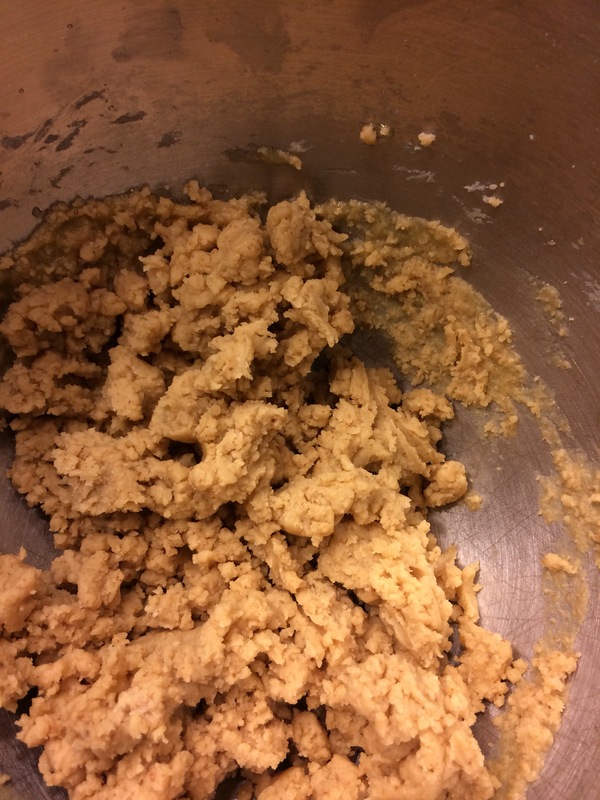 Put mixer on low, slowly add in flour. Lastley, add in cold water until dough comes together. Form into a ball. Place on a floured surface and roll out until 1 inch thick. 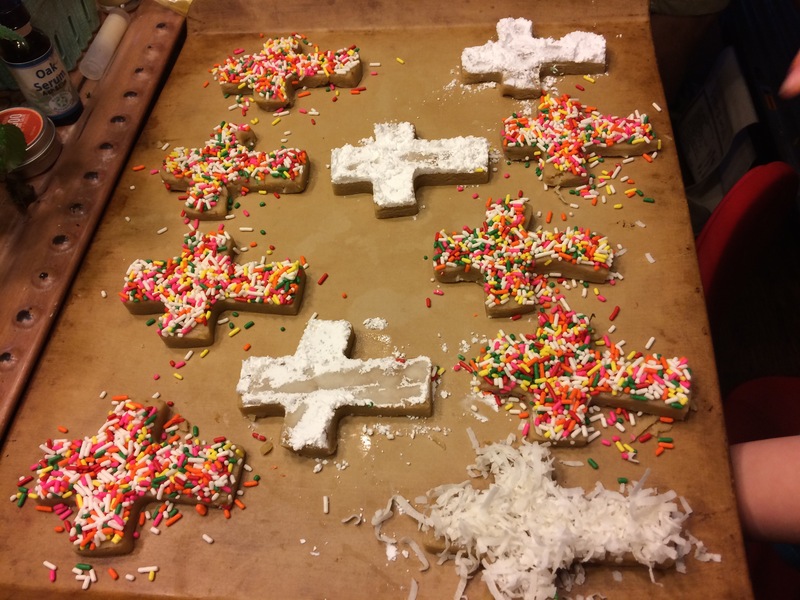 Use a cookie cutter to cut dough. Gently place onto a baking stone or double sheet. 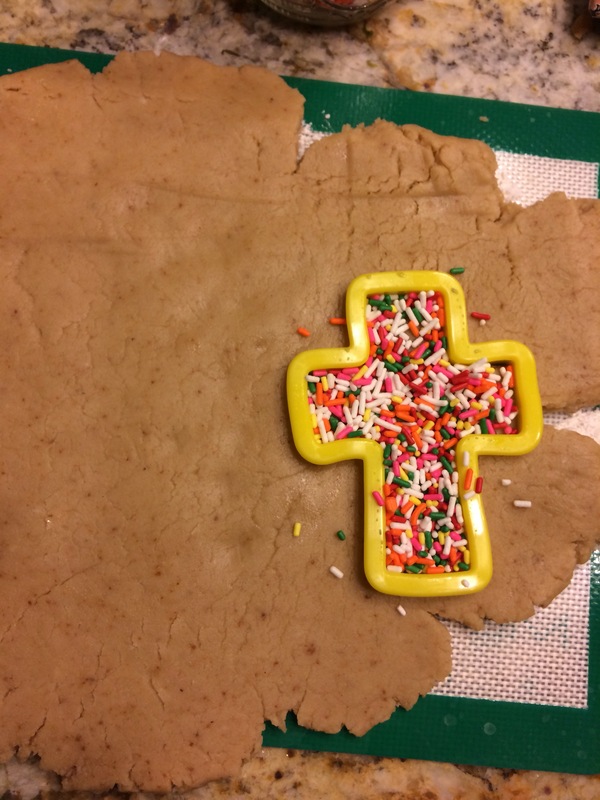 If adding sprinkles, add them to the inside of the cookie cutter. Use a spatula to transfer. Then remove cutter. Bake on 350 for 10-13 minutes until slightly firm. Allow them to completely cool and set up before removing. 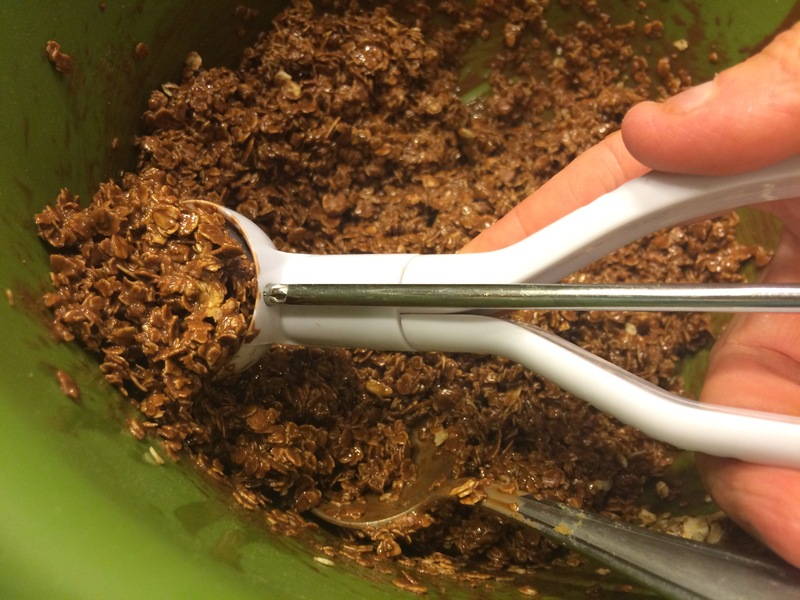 She had a blast putting in healthy secret ingredients such as an avocado, ground flax seed, and almond date butter. 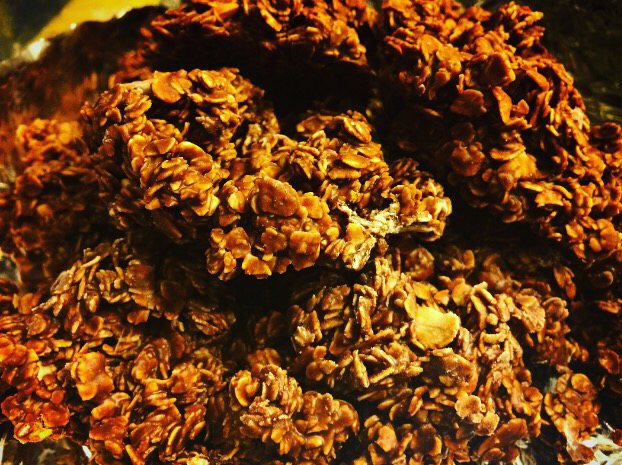 These Chippers are so packed with nutrients, you won’t mind “making” them. All of the kids loved them! 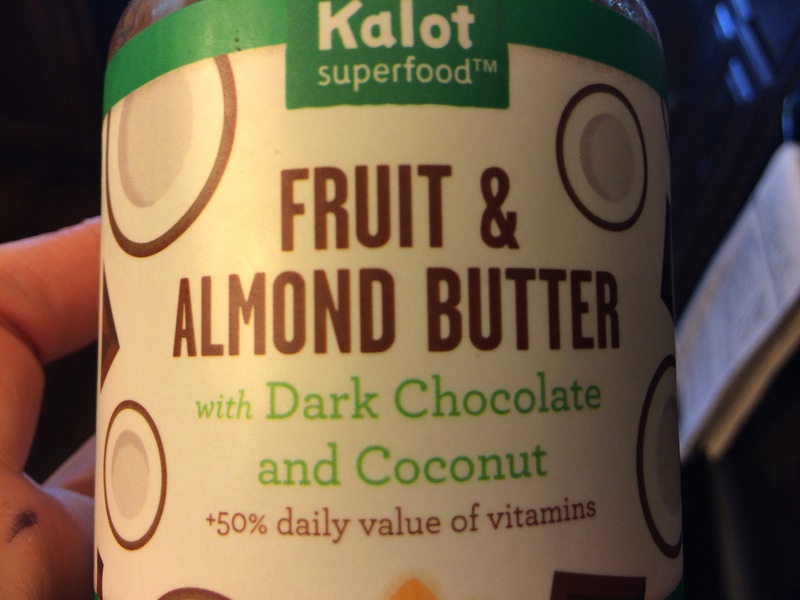 *** you can substitute almond butter or make your own blend by pureeing 2 dates with 2-3 tbsp of almond butter or cashew butter. Mix together the coconut oil with the avocado (about 1/4 cup). Blend and mash until smooth. Add coconut sugar and flax/milk blend. Stir until combined. Add in vanilla, molasses, almond-date butter, and a pinch of salt. Add in almond flour and Gluten Free flour blend. Lastly, stir in the chocolate chips. Bake on 350 for 10-14 minutes.